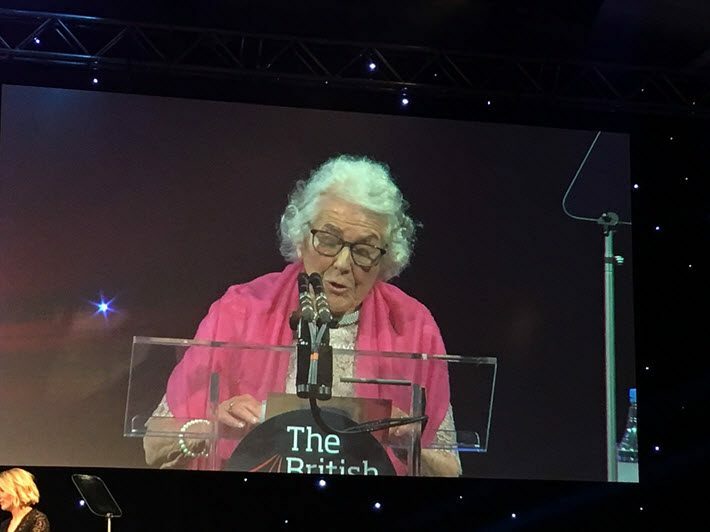 The ‘Nibbies,’ as they’re known, combined their usual glamour with political commentary about Brexit as the industry’s best-performing people and books were honored at the British Book Awards. 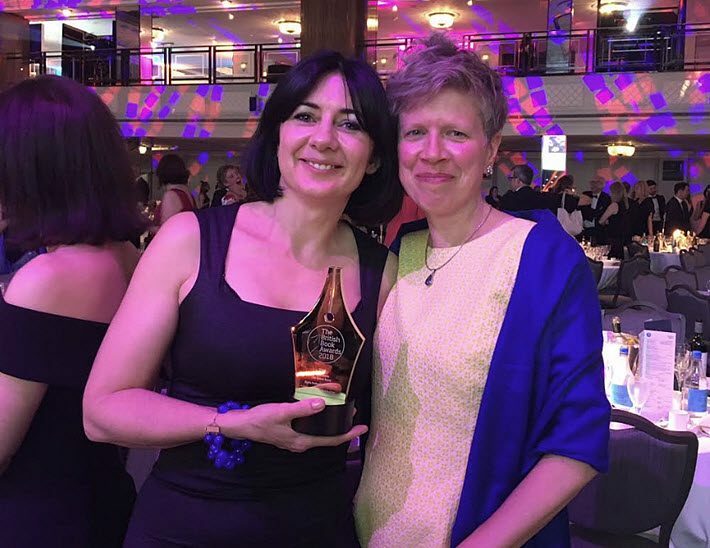 The second time is the charm for the Quarto Group’s foreign sales director, Karine Marko, who has been named Rights Professional of the Year at The Bookseller’s British Book Awards ceremony at Grosvenor House in London this evening (May 14). Shortlisted last year as well as this year, Marko is the 2018 recipient of the award, which is sponsored by the Frankfurter Buchmesse each year at the “Nibbies,” as they’re known. The choice of that sponsorship, of course, is a reflection of the centricity of the Literary Agents & Scouts Center, the “LitAg,” already sold out for this year at the Frankfurt Book Fair (October 10-14). 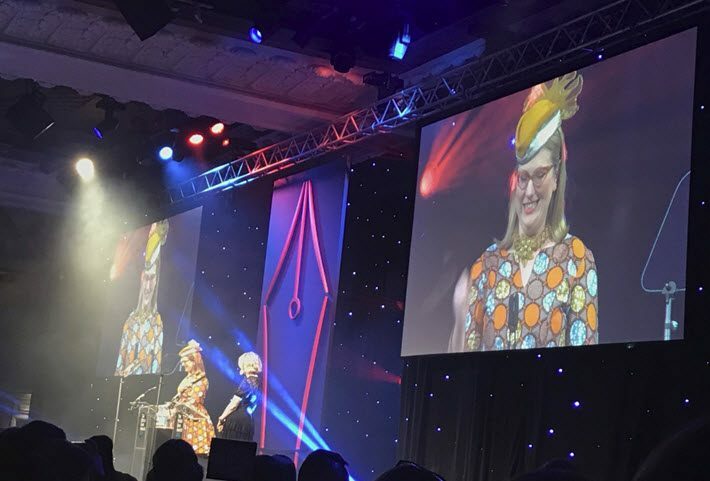 A moment of publishing and politics occurred during the evening when the newly added Illustrator of the Year award was given to the Hamburg-born Axel Scheffler, one of the most highly acclaimed illustrators working in the UK today. He told the audience that because of Brexit and its many still undecided effects, he cannot be sure that he’ll be able to continue living and working in England, as he’s done since 1982, when he moved from Germany to go to the Bath Academy of Art. The impending exit of the UK from the European Union was on the mind of the other winner as well. When bestselling author Philip Pullman took the podium to accept the new Author of the Year Award, he too, spoke out against Brexit. Pullman’s La Belle Sauvage: The Book of Dust has been a major success for Penguin Random House Children’s, and the next volume in the series is to be released in 2019. In other issue-driven moments, Canongate author Matt Haig—whose 2015 book Reasons to Stay Alive is a memoir based on the depressive disorder he suffered in his 20s—presented the Publicity Campaign of the Year Award, and spoke up for the UK’s Mental Health Awareness Week, which runs through Sunday (May 20). Below is a listing of the awards, starting with the industry awards, followed by the book awards. Marko wins in one of seven categories of “Great People” in the program. There’s a full list of the 2018 winners for the British Book Awards here. 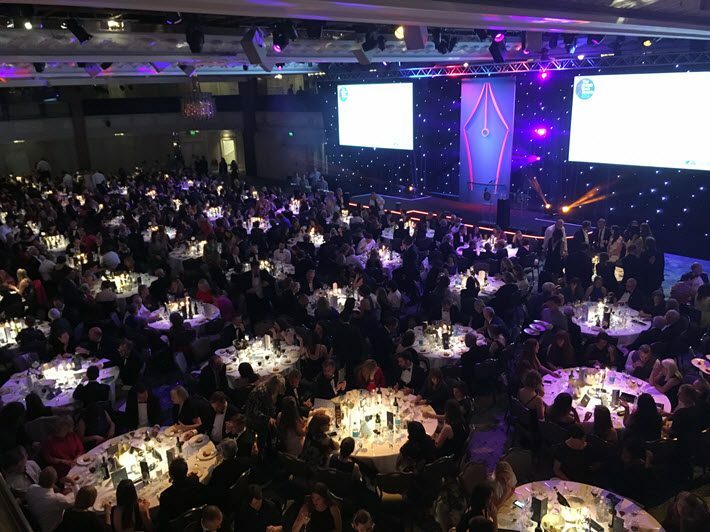 More from Publishing Perspectives on the British Book Awards is here. And more on publishing’s prize programs is here.